The first cases of Kennel Cough were reported in October 2017, since then, with holiday dog boarding, it has spread widely across Nairobi. Kennel cough is a flu like virus and bacterial infection which affects a dog’s upper respiratory tract producing a cough which sounds like the dog has something caught in its throat. 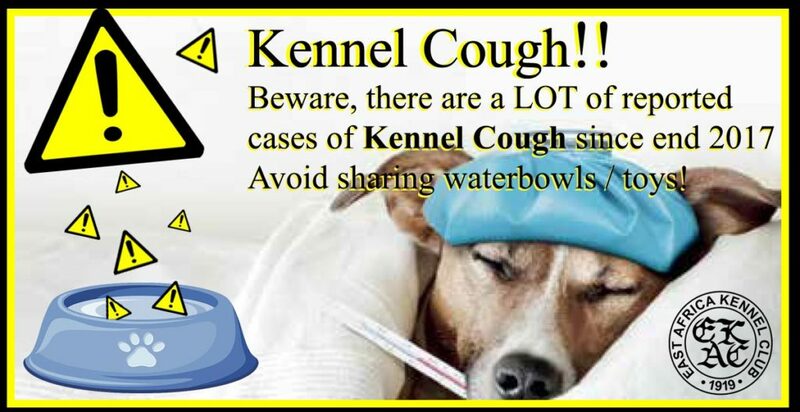 Kennel Cough is highly contagious, airborne and waterborne. So avoid close contact with other (affected) dogs, “public” drinking bowls and crowded places. Normally, Kennel cough goes away on its own, however, it can also progress into pneumonia. If you feel your dog may be affected, isolate them and contact your vet. If you take them to the vet, please keep them in the car until the vet can come out to see them.